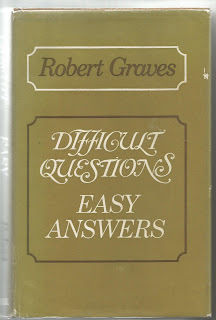 Another collection of speeches and essays from Robert Graves. He covers a wide range of topic's, religion, drugs and religion and ancient history. Mr Graves: Oh yes I do... The fact is that for one reason or another homosexuality among men has gone so far that its difficult now for a woman to find a man who isn't in some way tainted with it. I suppose that its partly due to heredity, partly to environment, but largely because men now drink too much milk. 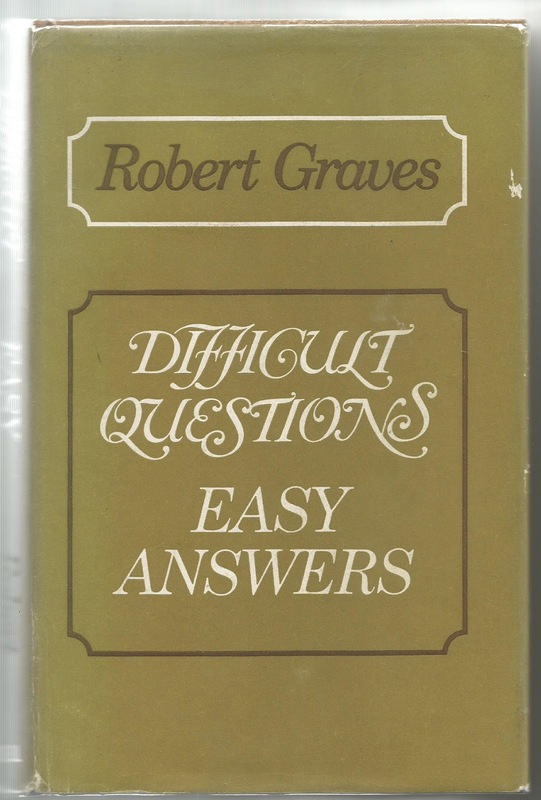 Mr Graves: Its a fairly widespread medical view. So very entertaining, the above exchange is only part of it and its not world class trolling he attempted to argue his point as if it were fact.